Whether you can only draw stick figures or you have already developed drawing and painting skills, Learning to improve your drawings (and paintings) can be one of your most satisfying achievements. If you have always wanted to draw or paint but you don’t know how to start or if you think that creating a beautiful piece of art is totally outside of your ability, this site has been built specially for you. Drawing can open up your imagination to create new worlds, or simply capture the things in life that interest you most. Whether you want to learn how to draw a rose, animals, cars, people, landscapes, how to draw a dragon, or anything in between, it is possible to learn the skills that will allow you to draw anything that you want. The best news is that with the right type of lessons, you can actually train your brain to see the world as an artist. Recent Neuroscience has proven that our brains are adjustable at any age and with the right training we can actually teach ourselves to use different parts of our brains. The lessons on this site are created to enhance the pathways to the parts of your brain that allow you to draw and be creative. Drawing is a skill that you can learn, the trick is knowing exactly how to listen to your brain in a different way, just like an artist. I would love to show you and prove to you how you can easily grow your skills from stick figures to expert. Hi, I’m Murray Charteris, artist and art tutor. I would like to Welcome you to Art Lessons Online. To get you started I have created a simple free 5 Day Drawing Challenge to share with you the key fundamentals that you need to know before you can draw or paint. If you would like to learn how to draw, paint or improve your art skills but can’t get past those stick figures, then this is the course that you will need. These lessons break down exactly what you need to be looking for when doing any drawing. This is the stuff that most ‘learn to draw’ classes skip over, assuming that you already know these fundamentals. These simple exercises will change the way that you think about drawing. To get started, I invite you to click on the button below and I will send you the course and bonus tips and tricks absolutely free. This is a short demonstration of some of the techniques that you can learn by following Art Lessons Online. This introductory timelapse video shows the process of creating a drawing from start from finish. Art Lessons Online will take you on a journey of discovery by expert tutoring and tips on exploring new techniques. With more videos being added regularly, there are always new tips to help you to improve your drawing skills. On one of my recent commissions I recorded the entire process from start to finish for the new owners of the painting. This shows the entire process from stretching and preparing the canvas through each step of creating the painting. With so many varieties of art supplies available it can be difficult to know which ones to buy. I have been fortunate enough to previously own an art supplies store and have been able to try out many different products that we stocked. Despite the large range of products available, there are a few that I keep coming back to and use most of the time. Thats why I have put together this list of my top 5 favourite painting tools that I use. 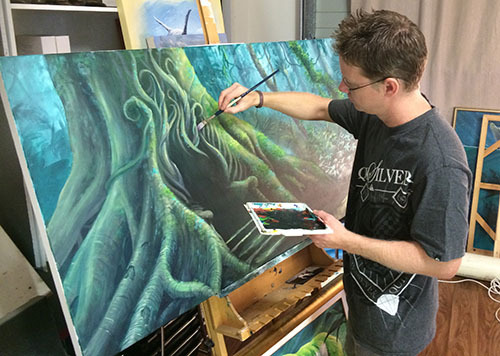 Murray’s real passion has always been drawing and painting. 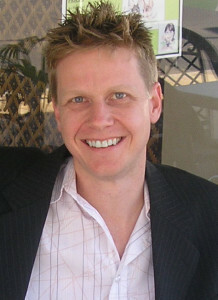 In 2007, Murray re-located to Hervey Bay and devoted his time to his art, working as a full-time artist. “Painting is what I really love to do, I love to create new worlds that could only have once existed in my imagination. I like to create a feeling of energy and motion into my art and tell stories through imaginative works”.